Nutrient-rich millets, which have been a crucial part of human diet since ancient times, have lost their importance due to globally commercialised agronomic practices to produce more foodgrains. Though awareness has been growing among the public in the recent years about the health benefits of a millet-based diet—high fibre, low carbohydrate, protein-rich and gluten-free—gaps persist on several counts. At the same time, there has been an increase in demand in the urban and semi-urban areas across the globe, including India. The realisation that millets are better suitable to combat the ill-effects of climate change and have a high nutritional value would be an important tool to fight global malnutrition. We conducted a study in Odisha, and the findings reflect the trend across the country. For instance, the agriculture policy of Odisha, with a high tribal population susceptible to maternal and child malnutrition, falls short of commitment towards the promotion of millets, in contrast to the long-term objectives of reducing malnutrition. 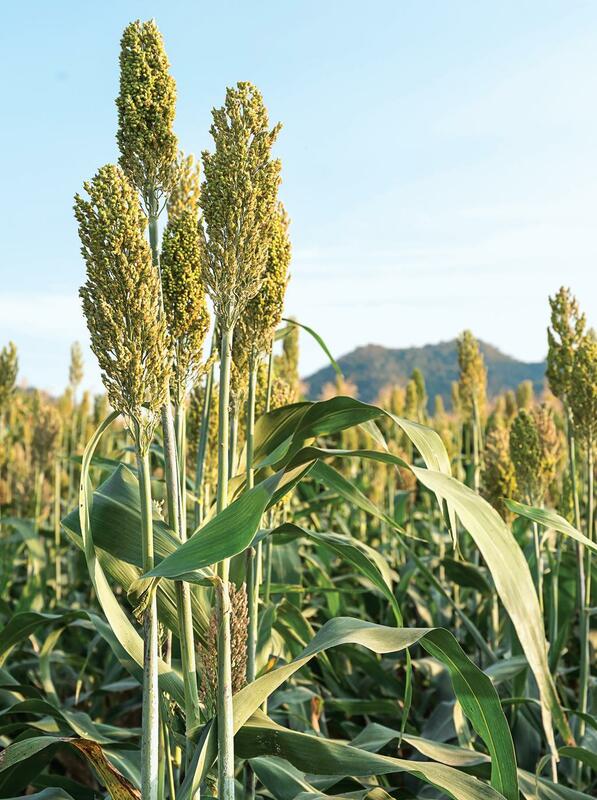 Not only has the area under millet cultivation gone down over the past decades, but only a few varieties are grown today. In rural areas, millets are grown in small quantities and mostly for household consumption. The marketing of millets as health food may promote the cultivation of some of their varieties, like ragi. In effect, we may end up with mono-cropping systems based on a few varieties of ragi, leading to a loss of important gene pools of various other millets. Replacing wheat or rice with ragi in mono-cropping patterns will subject the latter to the same problems, like increased reliance on one or few technologies, and susceptibility to various natural and human-made disasters. An indicator of this trend of demand for a single grain was a survey conducted in Bhubaneswar, where ragi is available in major retail stores but other millet varieties, like kodo and kutki, are not. Perceived as “nutrition food”, ragi is preferred by the health-conscious urbanites who procure it from upper class markets—highlighting the clear gap between product demand and availability. One of the authors interacted with some leading agencies in Odisha and neighbouring Chhattisgarh which work with Farmer Producer Organisations (FPOs). It appears that these FPOs were formed to organise small and marginal farmers and help them overcome the production and marketing challenges. But despite these efforts, there remains a gap between what is produced by the farmers and what the urban consumer wants. In 2017, a five-year “Special Programme for Promotion of Millets in Tribal Areas” was launched by the government to promote improved agronomic practices in over 12,000 hectares in 30 blocks of the state with a focus on the southwestern parts that have traditionally cultivated millets. The programme intends to increase millet consumption in households by 25 per cent and increase its production in 120,000 households. The programme also seeks to generate awareness through the display of products in food fairs. However, adibasi mela or tribal fairs organised by the state’s SC & ST development department highlight only a few millets like ragi and ignore others. Despite the fact that Odisha is frequently affected by natural calamities, millet growers are not covered under crop insurance schemes. Millets can be grown in residual moisture from the main crop in the Eastern Ghats and require less inputs in terms of machinery and chemicals. Recent land reforms have initiated a shift to multi-cropping system in traditionally rice-growing areas. But, introduction of modern agroforestry practices in traditional areas of Koraput have not been successful. We conducted a cost-benefit analysis of three farmers—practicing mixed cropping of millets, pulses and oilseeds; pulses only; and, eucalyptus only. It showed that though the profit seems meagre for the first farmer, it provides for a wholesome diet in terms of carbohydrates, proteins and lipids, besides preventing a migration in search of labour. The second farmer’s apparent higher yield is largely offset by the hidden costs while resulting in dependency on external food supply, and the third farmer’s change in agronomic practice had pushed nearly all his children under the malnutrition trap. Policy changes need to address infrastructure development in the regions growing millets, else the implementation of techniques like System of Finger Millet Intensification will become cost ineffective for farmers. Besides, cultivation of several varieties must be encouraged and practiced. The government should include millets in public distribution system and supplementary nutrition programmes. It should incentivise farmers growing millets and practicing mixed cropping, besides providing financial support for their processing, storage and marketing. Specific value addition practices, like grading, sorting, cleaning, processing and packaging should also be supported. The government should promote millet marketing through state livelihood missions and non-profits must organise special camps in rural areas. Overexploitation of groundwater resources for plantation crops needs to be curbed to help the maximum possible production of millets. Mixed cropping, intercropping, crop rotation models should also be promoted. The government should devise policies to promote millets so that implementation takes into consideration the health and economic status of the farming community, besides marketing millets as a health food in areas where the holdings are marginal. Otherwise, a skewed and blanket policy could push farmers in traditional areas to increase expenditure on health, which would largely offset any benefits of implementing newer technologies. Under food and nutrition security bill of 2013 included minor millets to supply under PDS at Rs. 1 per kg [rice at Rs. 3 and wheat at Rs. 2] but state governments are reluctant to implement this as they need to procure and store and supply to pds network in that state. This system reduces the cost of transportation. This provide economic security dry-land farmers and at the same time nutricious food to people comes under pds. It has been piloted in Andhra Pradesh with the PDS system. Also, a pilot project to include minor millets such as bajra and sajje on the list of foodgrains to be supplied is on the cards. “Karnataka Rajya Raitha Sangha units in some districts have volunteered to work with non-governmental organisations such as the Deccan Development Society to help us procure and distribute minor millets. This will involve creating awareness about the nutritional values of these millets and encouraging farmers to grow them and people to consume them. Yes. There is a need for more localized procurement and State Governments willing to supply millets under the PDS.